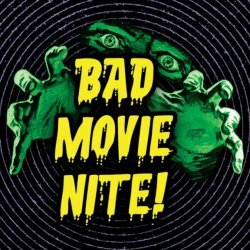 Bad Movies & beyond has its foundations from an idea to gather a couple of friends together and watch bad movies. We have also branched out and had a “Good Movie Night“. That changed it’s name to the “Good, Bad & The Ugly night“. Yes it was named after this film! That involves watching a trilogy of films that follow those rules. If you like something you have read here and want to link to the story, please do as we’re not fussy. All views are © Bad Movies & beyond. Some content has been taken from the British Board of Film Classification’s website. Synopses are taken from other sources around the Internet. Please let us know if you wish content to be removed.